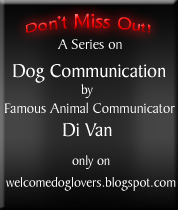 Welcome Dog Lovers - The Dog Blog - Dog Breeds, Training, Adoption & Behavior: Does Your Dog Eat Grass? My Reva Does! Does Your Dog Eat Grass? My Reva Does! Hey, but Rex is certainly not a goat or a mule! So why should he eat grass then? Is he hungry? Any health disorder? I am sure that you have already addressed this to your vet. First off, let me tell you that you are not the only one on this planet to find his dogs eating grass. Believe me, two of my three beautiful German Shepherds eat grass. As a matter of fact dogs eating grass is very common behavior, although not desirable. Dogs in the wild have also been noticed eating grass and then sometimes vomiting, which leads many of us to conclude that this is a natural behavior in the canine world. The behavior that is characterized by consciously consuming certain things by a species that are not the food for that particular species is called “Pica”. So a dog’s behavior of eating grass is a type of Pica that doesn’t do any fatal harm but there is always a chance of getting poisoned if the dog accidentally ingests any poisonous leaves or insects along with the grass. Researches have been carried out on the dogs to evaluate the number of the dogs eating grass. A number of 49 dogs were released to grassland where there were other weeds too. It was found that around 39 out of 49 dogs had consumed plants at some time, and more interestingly it was found that the grass was the most preferred plant. 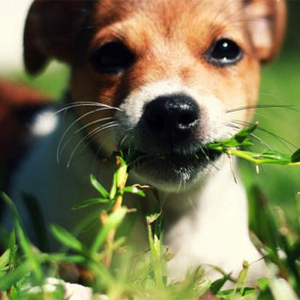 So what might be the probable reason for your dogs eating grass? Well veterinary researchers have thousands of theoretical explanations in this regard, but as a matter of fact no one has yet come up with any confirmed conclusion as to why a dog eats grass. This type of Pica in dogs has made many dog owners frown on. Most vets and experienced owners have a common explanation and it is dogs eat grass when they feel irritation or pain inside their stomach and they eat grass because they need to vomit. This is not true, because most of the times my dogs eat grass and do not vomit. 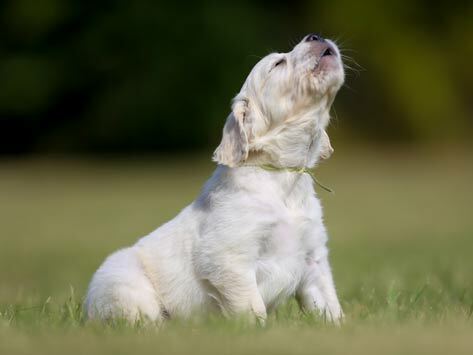 Secondly, dogs have their natural ability to vomit whenever they want; they do not need to eat grass to vomit. Another school of thoughts… dogs have an instinctual craving for the roughage or minerals or fiber present in the vegetation. This is probably true and sounds to have some logic in the explanation, but what about my third dog that have never eaten grass? All my GSDs are on same quality and quantity of food. All of them have same kind and volume of exercise. All of them have same life style and kennel environment. The food ingredients are also same for each of my dogs. Considering all these again leads to the conclusion that this explanation about dogs eating grass for mineral or roughage is not a proven fact. Well, until the time we get a consistent and proven reason as to why dogs eat grass, we can conclude that they eat grass because they like to eat grass. Grass contains a vegetable sap that is a bit sweeter in taste. Probably they like it because of that! This is much like dogs love to eat chocolates, but chocolates can never be a recommended food for them. They do not know what should they eat and why shouldn’t they eat certain things. Yet they eat certain things that shouldn’t be eaten, but they eat them because they like their taste and flavor. May be certain dogs like to eat grass, while others do not -- much like us humans; You probably love to eat burgers, but I don‘t. So nothing to worry about as long as your grass is not recently treated with fertilizers, pesticides, herbicides or any other chemicals. I would not consider is a pica, more of a natural instinct to fulfill one need or another, whether it's used as an emetic or "nutritional supplement". Our guys tend to nibble on grass also, so I'm trying various things to see if any of them might make up for what they're seeking. So far nothing worked, and that includes fresh parsley. So next thing on the list to try is wehat grass. PS: could we do without the capchas? Or at least have something better readable?